Today TicketCity announced it’s official sponsorship of the Dallas Football Classic, dubbed the 2011 TicketCity Bowl, hosted at the Cotton Bowl Stadium! You can learn more about the bowl game by visiting the TicketCity Bowl page. Also, you can enter a drawing to win free tickets! By the way, this year the BCS standings are all over the place. Will TCU or Boise State get a shot at the championship? Maybe Auburn and Oregon will end up on top and face off in Glendale. Either way be sure to check back with TicketCity for Bowl Game Announcements. 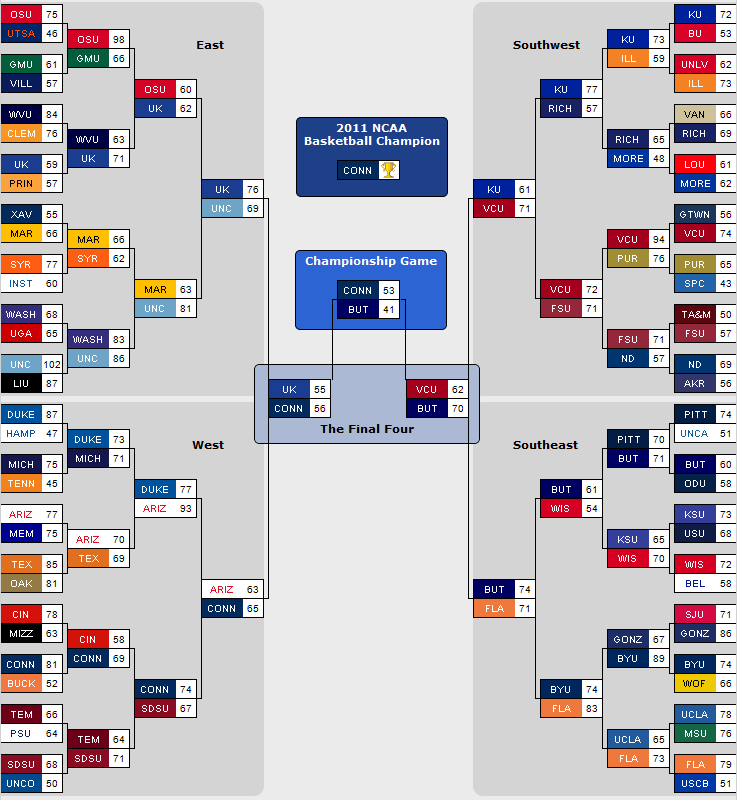 here is my 2010 march madness bracket.. feel free to copy if you’re looking to lose. sadly i have the longhorns bouncing in the first round. be sure to enter the 2010 march madness bracket contest for a chance to win free tickets or $250 in tickets from ticketcity. Enter the free TicketCity March Madness Bracket Contest and play to win a sports ticket trifecta including two tickets to the College World Series, BCS Championship and the Final Four. 5 Runner ups will win $250 TicketCity gift cards. I’ll post my miserable failure picks later..
let march madness begin! i’ve decided to try to pick the winners this year. to be honest i don’t watch college basketball… too many games. so, watch me pick perfect 🙂 nah i very seriously doubt it, especially after hearing that there is big prize money available for anybody that picks perfect. evidently there are even math wizards at universities like MIT trying to develop systems for picking perfect. it seems that buzzer beaters ruin any kind of mathematical logic. i’m personally not suprised; wasn’t it coach mack brown who said prior to the greatest college football national championship game EVER “we don’t have to be the best team ever, we just need to be the best team tonight”.. to paraphrase. so in my picks you might notice i’ve included a couple of upsets, however nothing drastic.. just a few buzzer beaters that i think could play out. i guess if i have any kind of luck, because no doubt that’s exactly what it’ll be, i might have to join one of the endless pool invites. so here’s how i’m seeing it go down… sorry longhorns (prove me wrong please!) 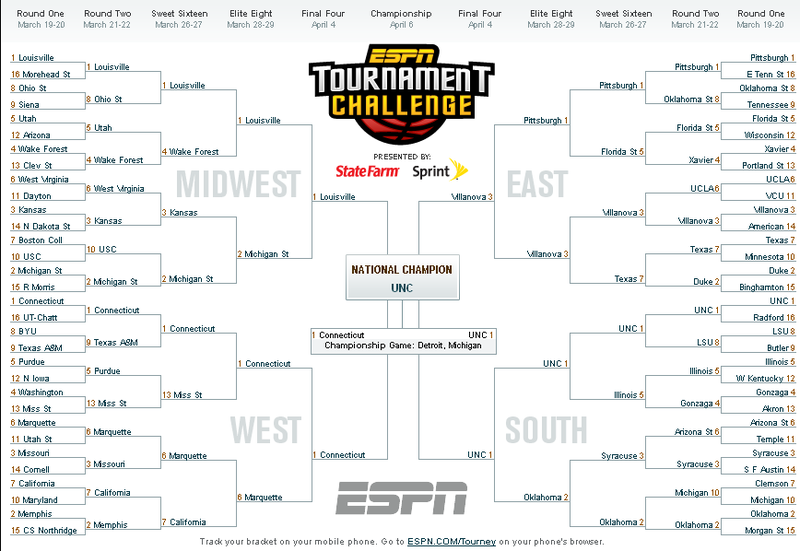 but i’m taking UNC all the way. below are my failed 2009 predictions..
Two other bowl games hosting top finishers in the BCs include Texas Tech playing Ole Miss in the Cotton Bowl and a really good matchup of Boise State vs TCU in the Poinsetta Bowl. March madness has begun… i can tell from all the buzz at work. the tournament brackets have been set and the road leads to San Antonio’s Alamodome for the Final Four. 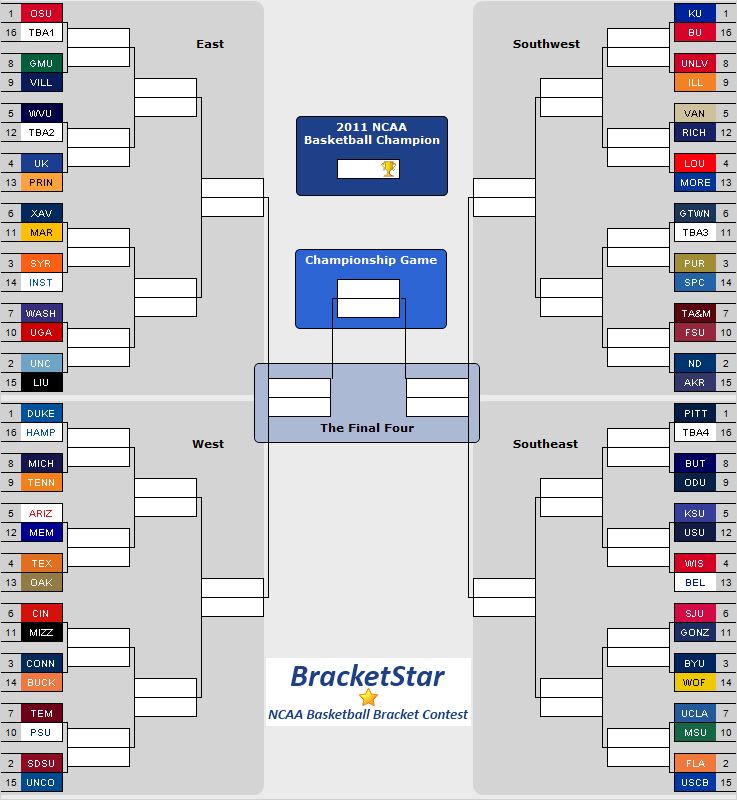 for me basketball‘s regular season is just a tad too long… but i’m all about the tournament. i’m personally hoping to see the Texas Longhorns take down a national title, but that’s just me. today the site that was handling the actual online-only distribution of World Series tickets for Rockies fans, and anybody else wanting to go to the World Series in Denver, WAS WORTHLESS… the site, Evenue.net, didn’t actually crash crash… but it did crawl, and timeout, and sputter for life as baseball fans tried to snag some World Series tickets. for hours people have felt lucky enough to watch the ‘waiting room’ page refresh endlessly, every 60 seconds, while others only get a brief series of refreshes before being hit with a “page cannot be displayed” error. o yeah, fun way to ‘try’ and buy World Series tickets. something tells me that Paciolan, the company that runs EVENUE.NET is going to lose some future major event contracts… after this frustrating experience. anyhow… if you want World Series Tickets you can buy them at TicketCity >> World Series Tickets.